E&A Scheer is a Rum company specialised in importing, blending and trading Rum, Batavia Arrack and Cachaça in bulk. With centuries of experience, we understand the needs of various industries. E&A Scheer offers expertise in bulk sugarcane distillates, mainly Rum and Batavia Arrack. It is our mission to develop and provide consistent Rum Blends for a range of industrial customers worldwide. E&A Scheer supplies Bulk Rum, Batavia Arrack and Cachaça in small or large quantities. We are an independent Rum company with access to the full range of Rums available, without restrictions to individual Rum distilleries. E&A Scheer recognises that to compete in todays business environment there is an ever growing need for companies and their products to be officially accredited. As a result we carry many certifications to provide proof of our competence and efforts in this field. 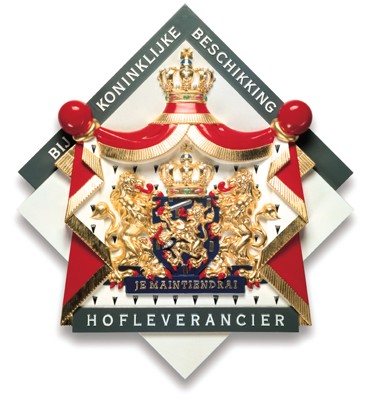 By Appointment to the Court of the Netherlands is a Royal Award appointed by his Majesty the King of the Netherlands. This is an honour awarded by the Royal Court only to those companies that are at least 100 years old and have an exceptional track record. At E&A Scheer BV we are very proud to have received this particular recognition in 2017 after blending and trading Bulk Rums all over the world over the last 3 centuries. It is our privilege from now on to be able to display the coat of arms to our stakeholders on our website and external communications. In receiving the award we are part of a very select group of Dutch companies which have a prominent position within their industry, an excellent reputation and who distinguish themselves by quality, solidity and continuity. 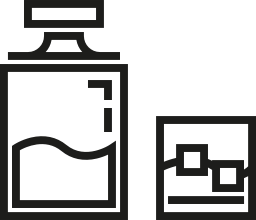 Serving all types of clients, from start-up brands to global spirits companies. At E&A Scheer we first ask what our customer is looking for and create the best suited Rum, Batavia Arrack or Cachaça based on those instructions. First we ask, and then we act. We know where, and maybe more importantly, how to source those rums; making them available to our customers in the volume and form required. We have mastered the art of knowing how Rum types combine well together, and which rums to use for certain blends. And we love to turn intangible ideas into tangible fluids to satisfy the market. Our Rum Blending Specialists have mastered the art of knowing how Rum distillates combine well together, and which Rums to use for certain blends. Our long expertise in trading and blending Rum, enables us to create any type of Rum you can think of: From competitive priced entry level Rums, up to rare old and aged Rums, plus any Rum type in between. Clients benefit from our unique service that includes: professional consulation, blending of individual Rums to customer specifications, large and small scale production and ‘just in time’ delivery. Purchasing risks are reduced considerably compared to buying from a distant supply base.